Sooo… Today should see me heading towards Heathrow to catch a Qantas flight to Singapore, and from there to Borneo for jungle and monkey-based festive fun. Unfortunately heavy snow in London has currently closed even Heathrow. They’re clearing snow off the runways til at least 16.00, and from there we shall just have to see. I ended up working in the Crisis at Christmas homeless shelter for a few days, which was incredibly interesting, different, thought-provoking and rewarding. Christmas Day was spent in the homeless shelter in the morning, then on my own in a Premier Inn at Gatwick Airport (bottle of red and Doctor Who? Don’t mind if I do!). 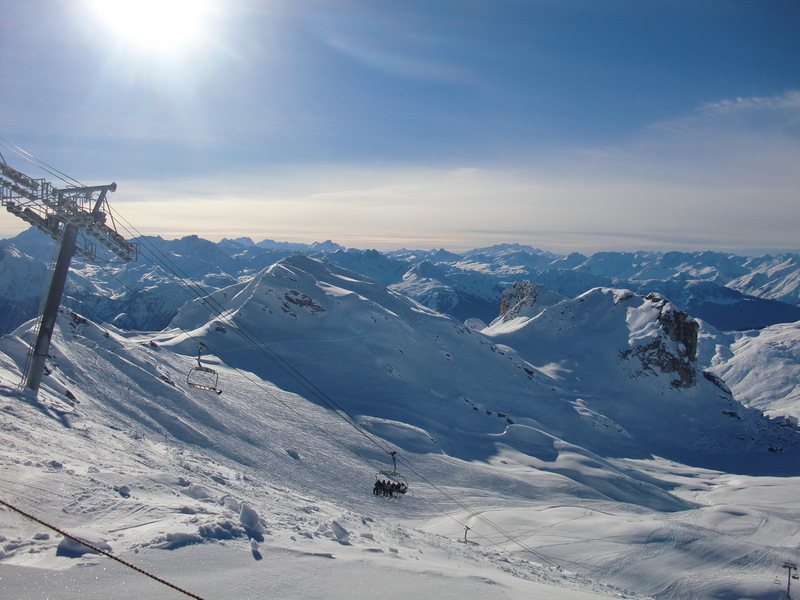 That was followed by a week’s incredibly cheap (=bogstandard package chalet trip) last-minute-booked snowboarding in La Plagne. Which is beautiful. This entry was posted in Borneo, England, France and tagged snowbound, travel snow ice by littlegingerkid. Bookmark the permalink.